Data protection is vitally important to any modern business. As a firm providing expert Mac support to companies and individuals in London, Them Digital knows how essential it is to have proper business security systems in place. Here we look at how to keep your business-critical data safe, by using a combination of back up services and file encryption. Computer Maintenance London Click here to see our range of support plans. The value of your PC – whether Windows or Macintosh – lies in the data it contains and what it lets you do, rather than the cost of the hardware alone. It is therefore just as essential to take care of your data as it is to make sure your computer equipment itself is in good working order. Data can often be priceless for businesses, particularly in the case of commercial data, which is confidential and business-critical. Losing this type of information through a computer failure could prove very expensive and even lead to the loss of contracts. Loss of communications data, such as emails, could also be disastrous, meaning you can't get back in touch with customers. Macs are often used by multimedia artists and designers, as well as such as engineers and architects. For any of these highly-skilled professionals, loss of work in progress, ranging from documents to graphics, video and technical drawings, could potentially be very serious, since the projects could be impossible to reproduce. The disappearance of this type of work can mean failure to meet client contracts, with consequent damage to both business and reputation. Of course, individual Mac users also need to protect the personal information which is stored on their computers, which is just as vital to them as business records are to companies. Whether you are a business owner or individual user, another risk in losing data is the threat to privacy and confidentiality. Not being to access your own data is bad enough, but having it accessed by malicious people and potentially misused could be even more serious. Serving customers across greater London, Them Digital are Mac support, backup and security experts with many years experience of computer maintenance. We recommend that all Mac users back up their computers using Time Machine. This is a backup software application distributed with the Apple OS X computer operating system. The software is designed to work with the Time Capsule storage product, as well as with other internal and external disk drives. It was introduced in Mac OS X Leopard. As specialists in IT support solutions, our recommendation is for a two-tier backup system and file encryption, designed to address different sources of data loss. By using Time Machine, it is possible to address local loss of files within a desktop or laptop machine, for instance in the case of accidental overwriting or deletion of files. This system allows a Mac user to "roll back" to a specific date and time and recover lost files. External Backup: Saving data on a file server or cloud addresses the loss of files due to computer failure or corruption. Storing files on a physically separate machine ensures a copy of data is available, but this needs to be done on a regular, scheduled basis to ensure maximum recoverability. You may also want to consider using a cloud system in addition, for instance in case an office break-in led to the theft of both main and back-up computers. Them Digital can set you up an online backup system which is also encrypted to protect data. Another advantage of cloud storage is that it enables on-the-road backups, addressing loss of data due to computer failure or corruption when not linked to a regular backup system. It is possible to use secure online storage, such as Dropbox, for this purpose. File Encryption: Using Fire Vault is an important precaution to ensure that, if a laptop or computer is lost or stolen, no-one will be able to access any of its data. This works by not allowing a person's login password to be changed, something which can easily be done if Fire Vault is not in use. With an unprotected Mac, it can be possible for someone to change the password and then log in and access all of the data. As well as making it impossible to change the password, in addition using Fire Vault means that all of the Mac's data is encrypted and will not be accessible to unauthorised users or thieves. Them Digital can assist our Apple support clients with all aspects of Mac security and back up services, making sure that vital data is always accessible to you and your staff, but not to anybody who should not see it. Based in Islington, we advise customers across the London area and provide a full range of PC and Mac support services. 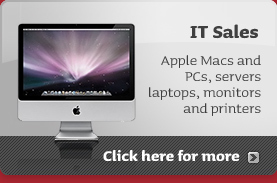 Mac Support London – Get in touch now for advice on data protection from Them Digital.